Yummy! 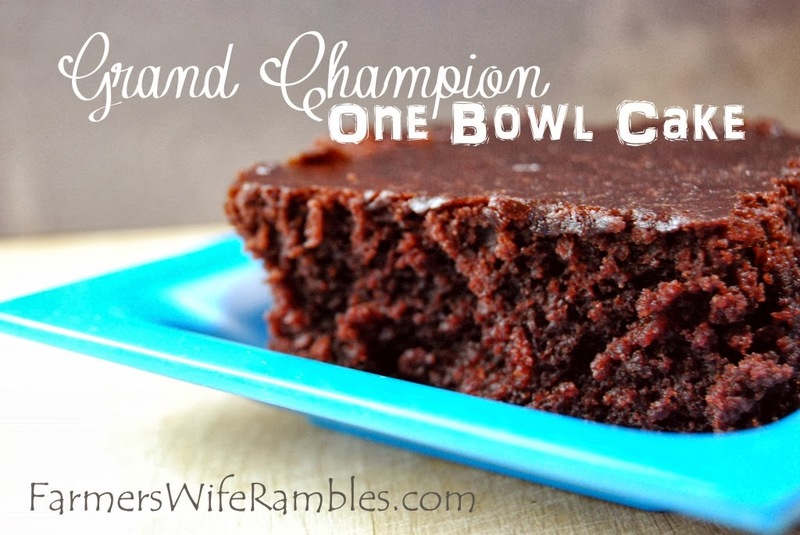 We are bringing you all sorts of recipes this week, and we thought this Grand Champion Chocolate Cake from A Farmer's Wife Rambles was the PERFECT treat to get us over this mid-week slump! 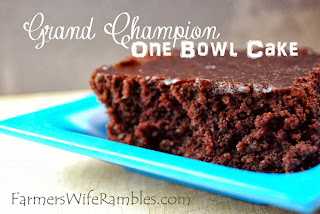 Simple ingredients (that are probably in your pantry right now), fast instructions, and delicious chocolate-- what's not to LOVE?? ?